Metabolised in the Liver to Produce Ketones, Helping Your Body Achieve Ketosis – The Process Where Your Body utilises Fat for Energy. The debutant of the EVOLVE product range, this premium MCT Oil is made from 100% sustainably sourced coconuts. 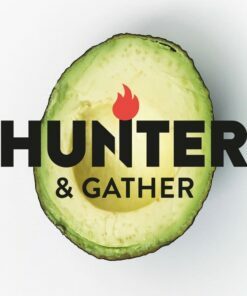 Challenging you to ‘be the best version of yourself’, Hunter & Gather MCT Oil is perfect for those seeking a healthy fat source to naturally increase their ketone production. Our oil is lab tested to ensure the fatty acid profile of each batch is within the range we specify. We also lab test to ensure no heavy metals or other contaminants are present. Bottled in a glass bottle only. Free of fillers, flavours & additives, Hunter and Gather MCT Oil is extracted from fresh, hand-picked and sustainably harvested coconuts. 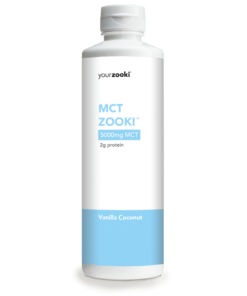 Our Premium MCT oil is the perfect energy-boosting complement to drinks, salads, shakes and smoothies. This all-natural MCT Oil is suitable for consumption in all diets and is completely non-allergenic. Increased muscle strength and stamina. Popular with Athletes to Promote Healthy Body Composition. Can be Used to Blend with Coffee, High Fat Shakes or even drizzled on Salads. Bottled in a UK SALSA accredited facility. With a neutral taste and aroma, this oil is the perfect addition to salads, coffee, shakes and dressings. MCT oils are rapidly digested and absorbed and are thought to provide a useful energy source. SUGGESTED AMOUNT – 1tbsp (15ml) as desired throughout the day.